Everyone loves new plants, so there is a continual demand for them. Proven Winners works with breeders to bring new plant introductions to the popular market. Rigorous testing ensures the new plants are garden worthy. Plant Breeding is the art and science of changing the traits of plants in order to produce desired characteristics. Breeding targets might be a larger tomato, shorter stems on a flowering plant, increased bloom time, or a new color (anyone remember Burpee Seed Company's white marigold contest from the 1960's?). 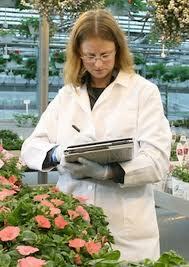 Proven Winners offers advice and support to plant breeders, then helps them through to marketing of their new plants. This week on #Plantchat learn how to partner with Proven Winners to bring your breeding breakthroughs to market and get tips and hints from the team at Proven Winners on #Plantchat! Join @CoronaTools and #plantchat co-partner, Stacey Hirvala, Jane Beggs-Joles and Shannon Springer representing Proven Winners @Proven_Winners on this week's topic, Favorite Fall Plants. 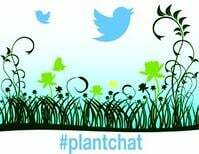 The live chat begins Monday, Octover 6, 2014 at 11 a.m. PST / 2 p.m. EST, were we come together with green industry experts and fellow horticultural tweeps each week to discuss all things related to plants and horticulture, since 2014. Plant breeding (and plant selection) has been done for thousands of years, it is not a new practice. Low Tech Methods -New plants can be developed with very low-tech methods, so really, anyone can dabble in it. Time Span -Developing and introducing a new plant takes time – 5+ years, typically. Case Histories of New Plants - Plant breeding has brought about major changes in agriculture, horticulture, and forestry, for example success stories like ‘Princeton’ elm and Shasta daisies.